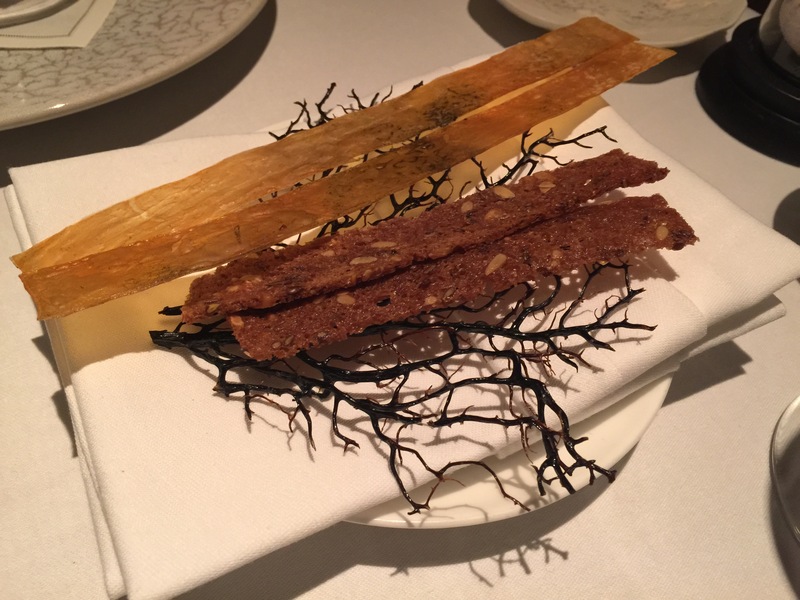 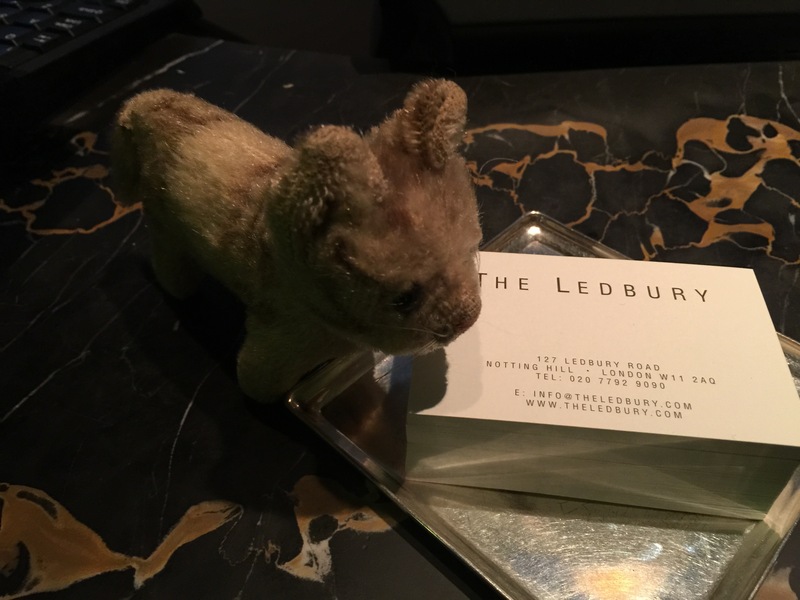 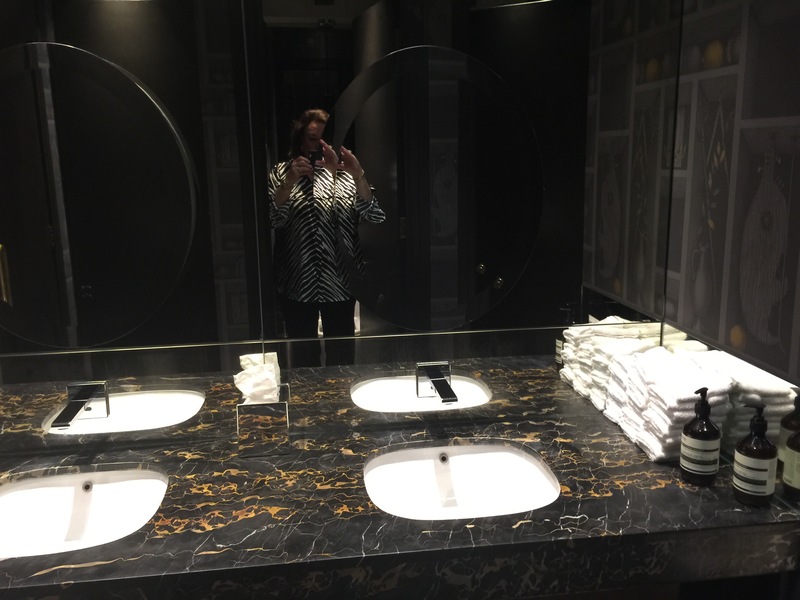 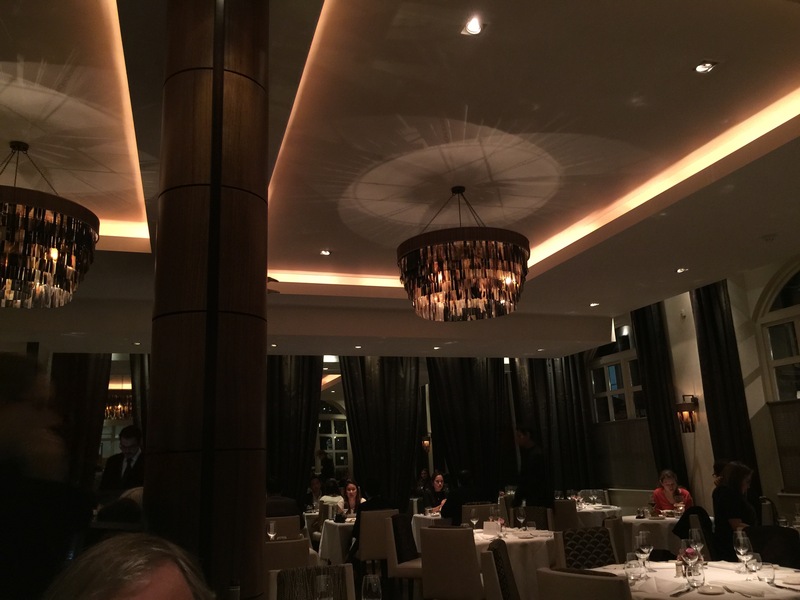 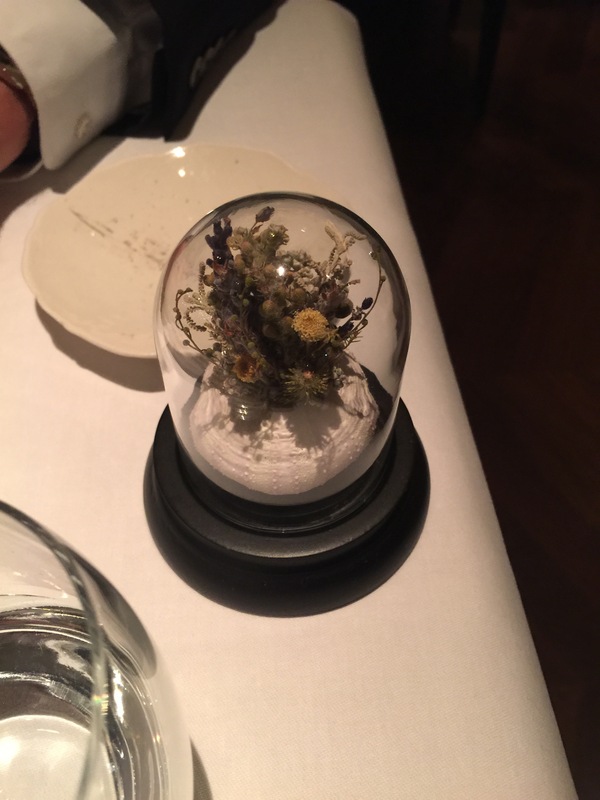 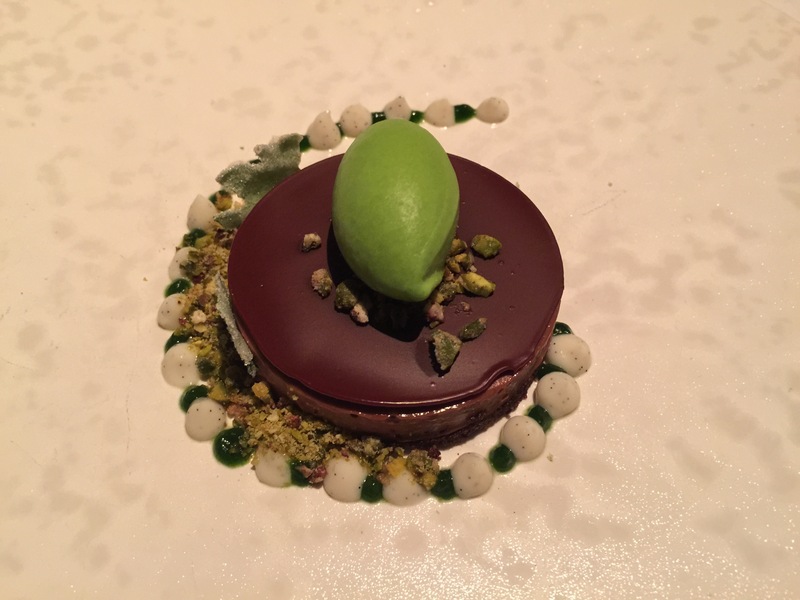 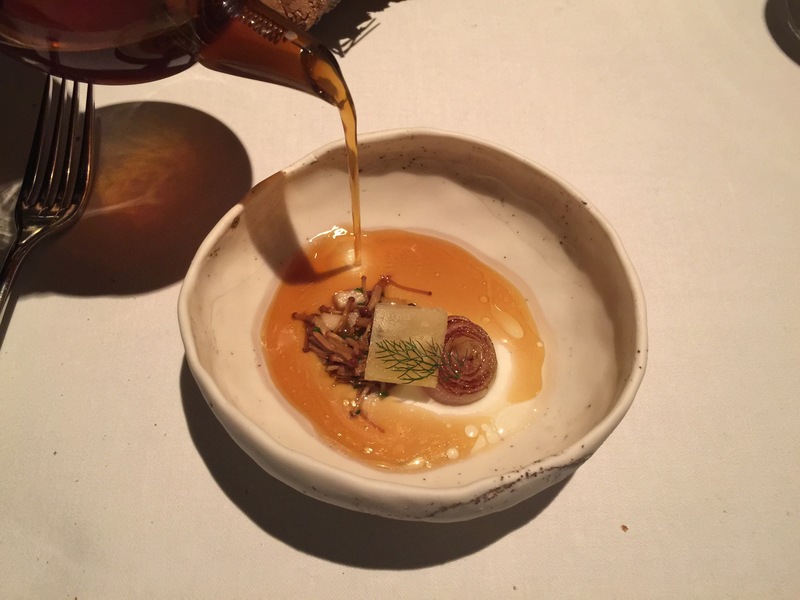 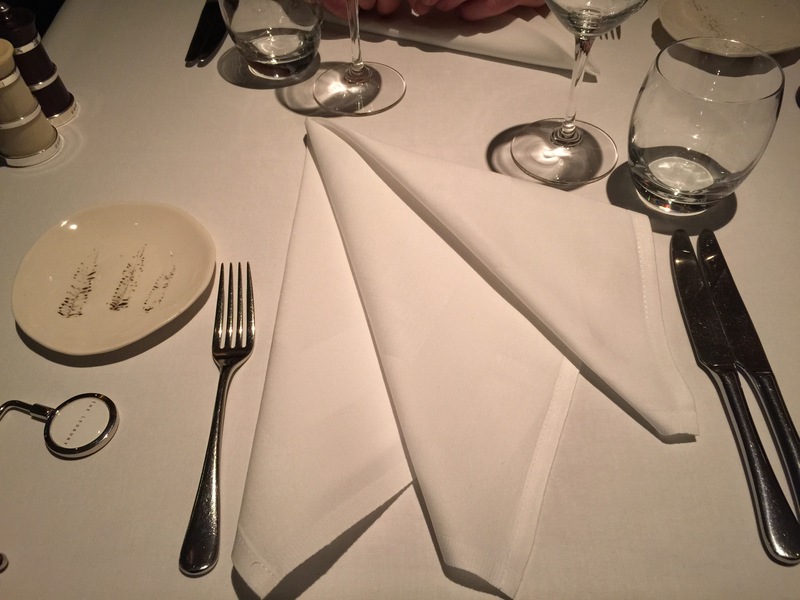 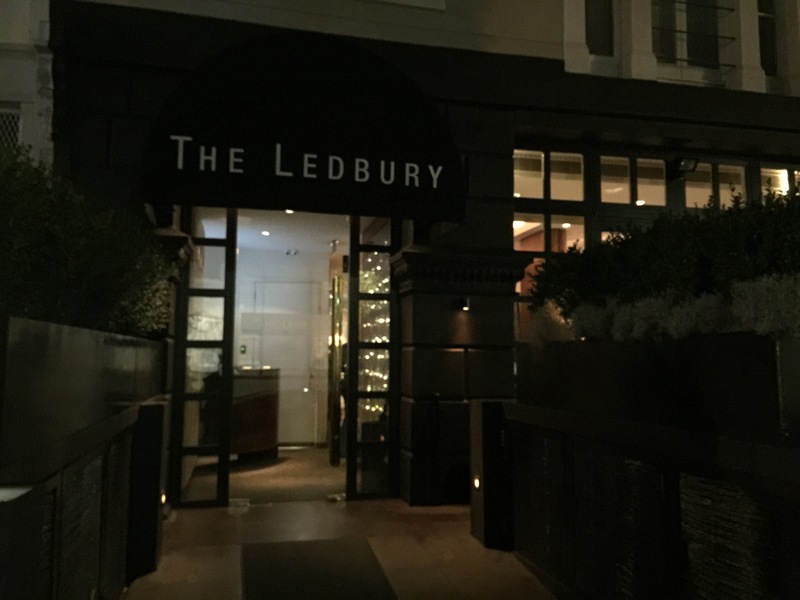 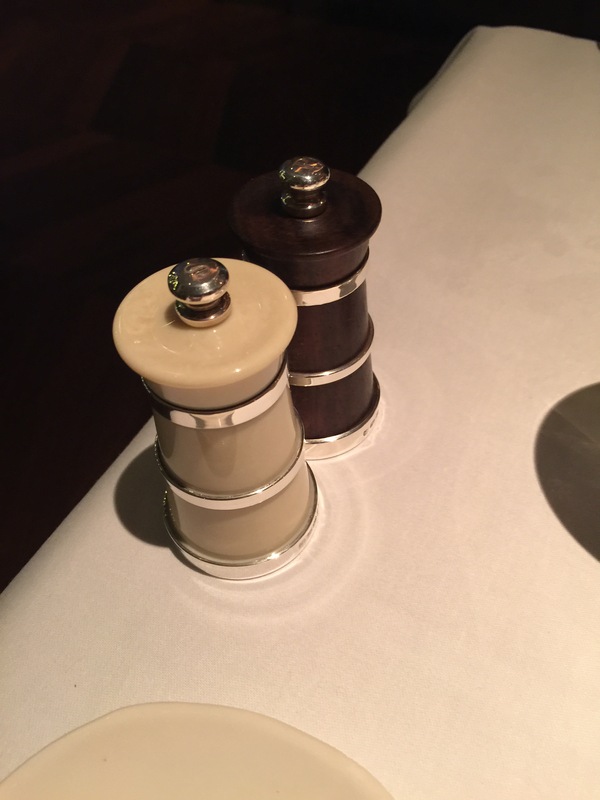 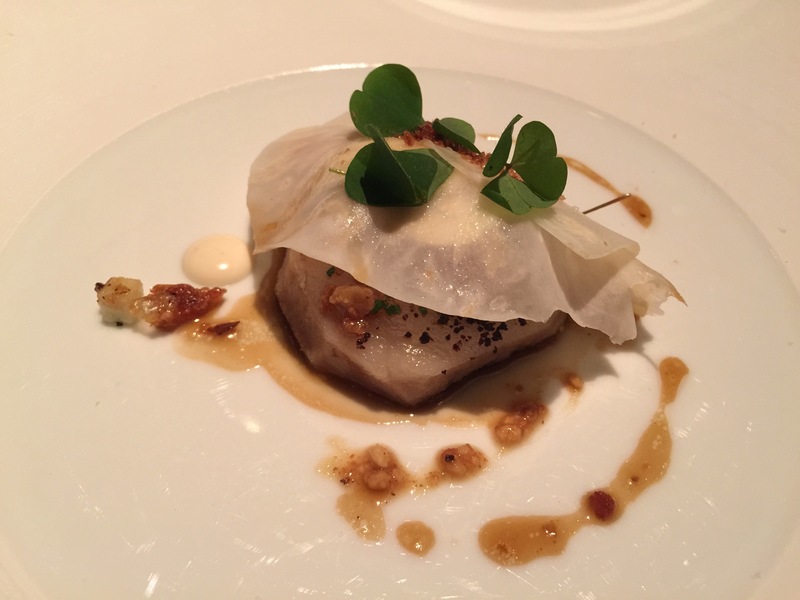 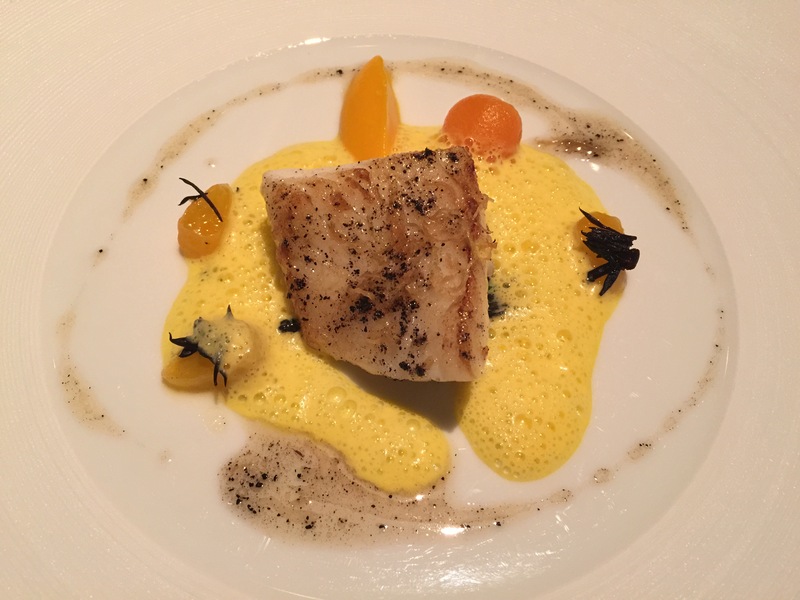 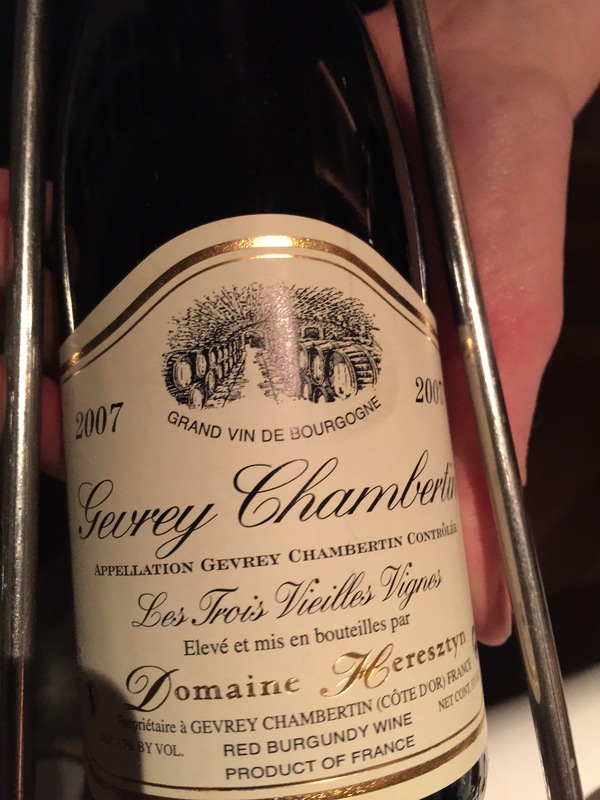 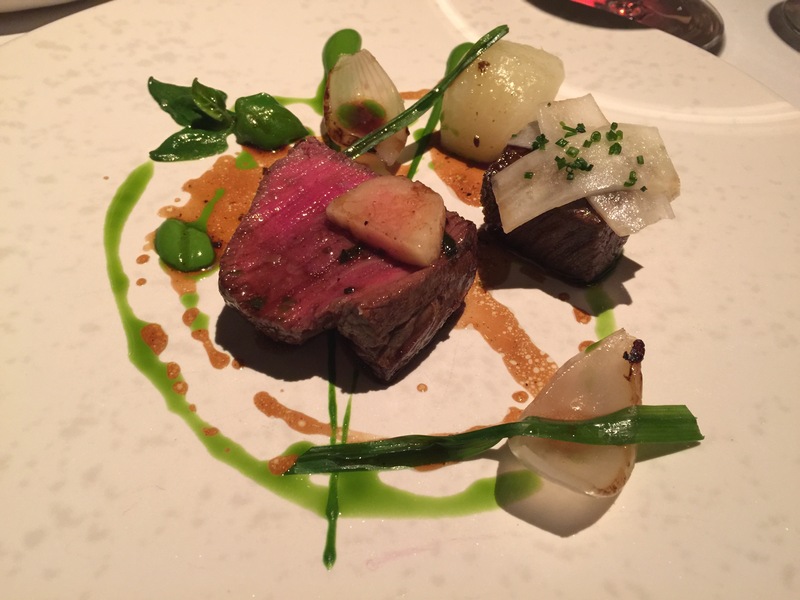 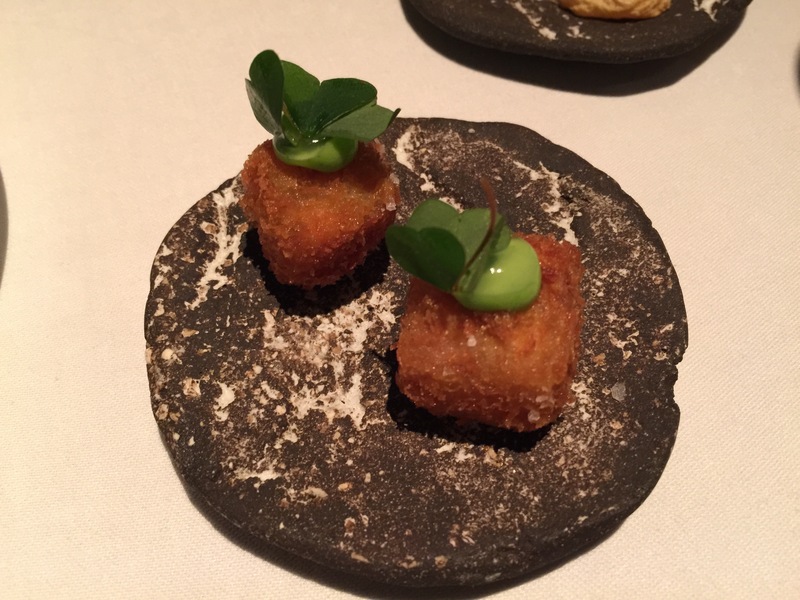 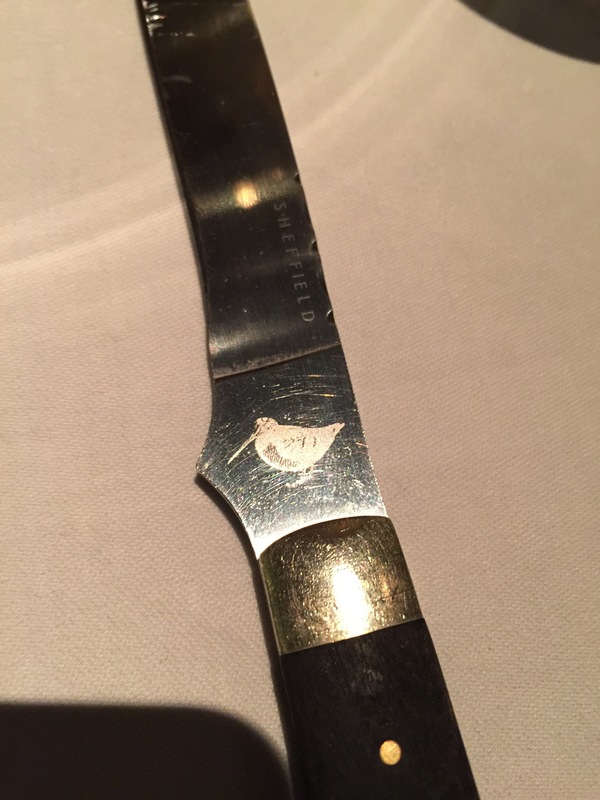 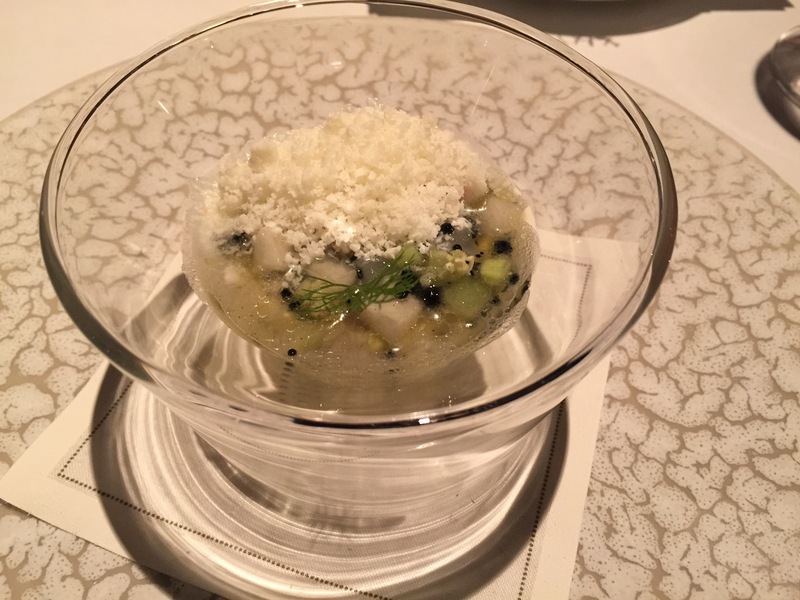 The Ledbury was another repeat visit and I believe it’s gotten even better! 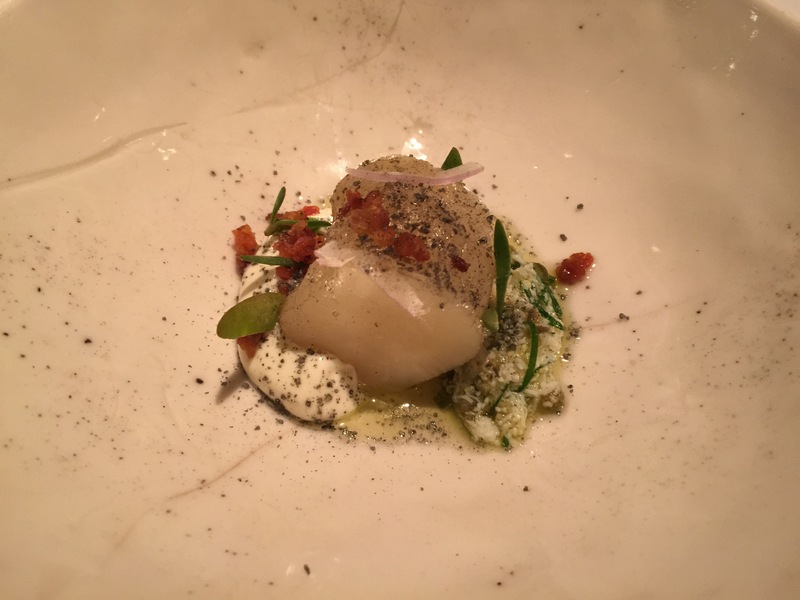 It’s a fairly small place and offers a tasting menu as well as a la carte. 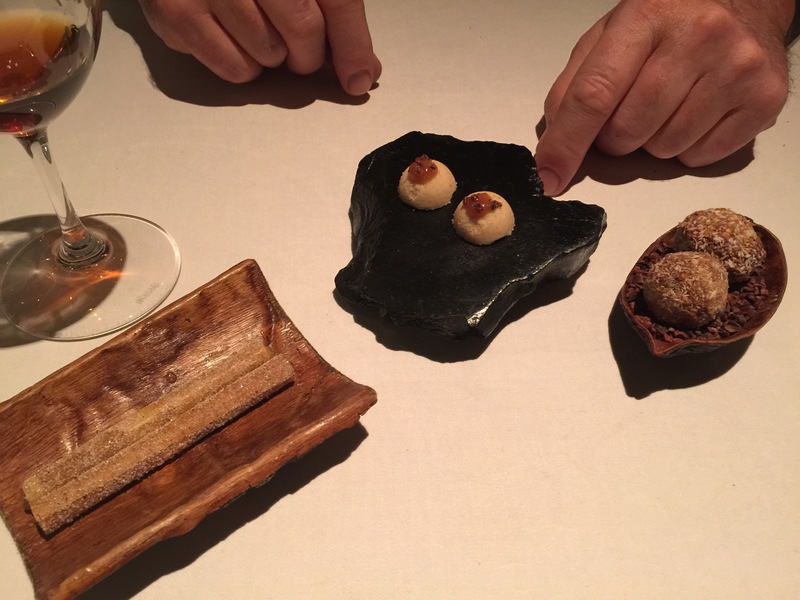 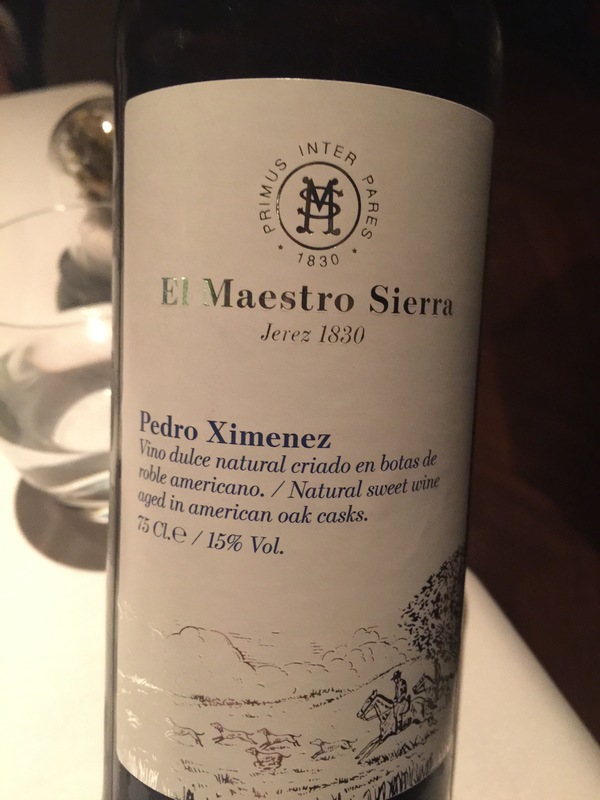 You quickly start with several amuse bouche which were all quite tasty and nice bites of intense taste. 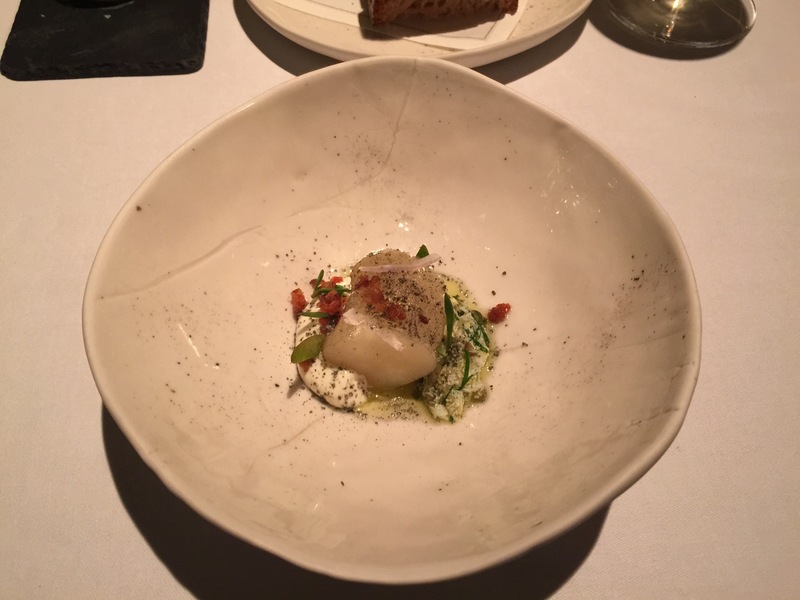 The meal had a few blander spots but nothing bad, just not overwhelming. 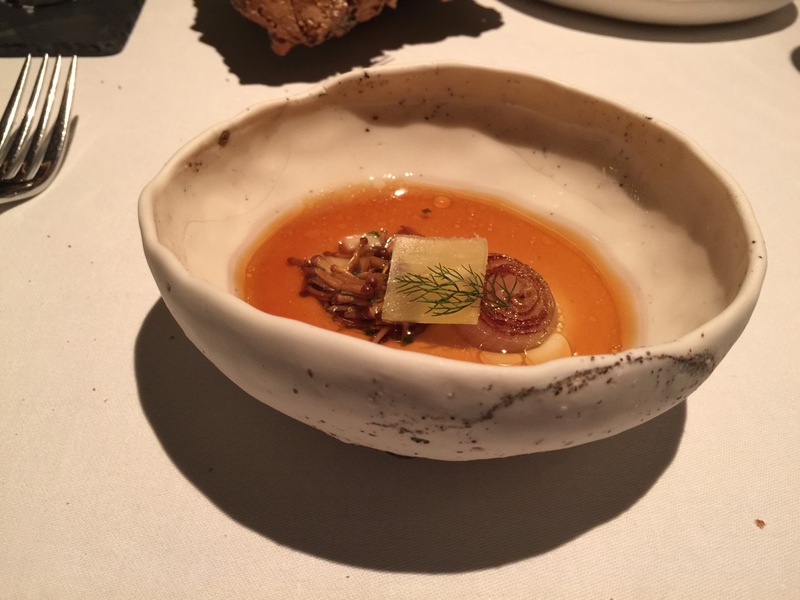 That didn’t include the wild mushroom broth on the milk curd – it was like eating liquid mushrooms. 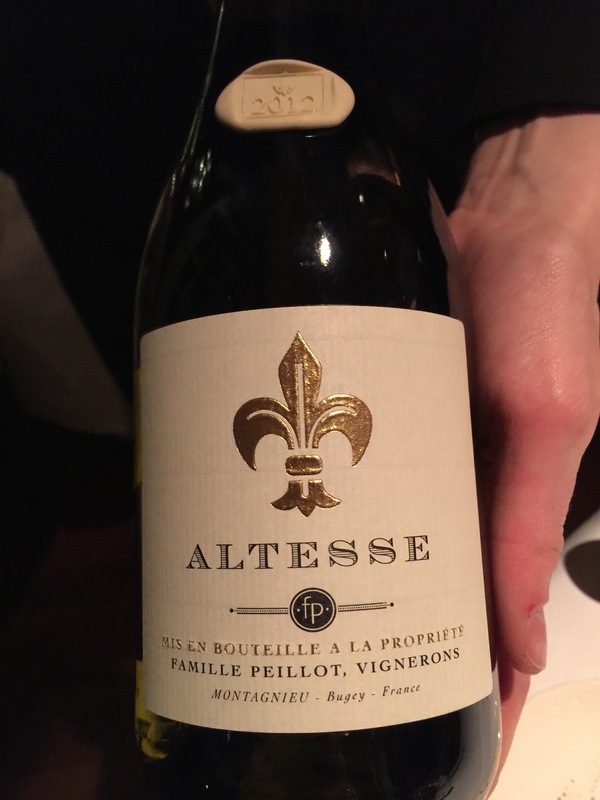 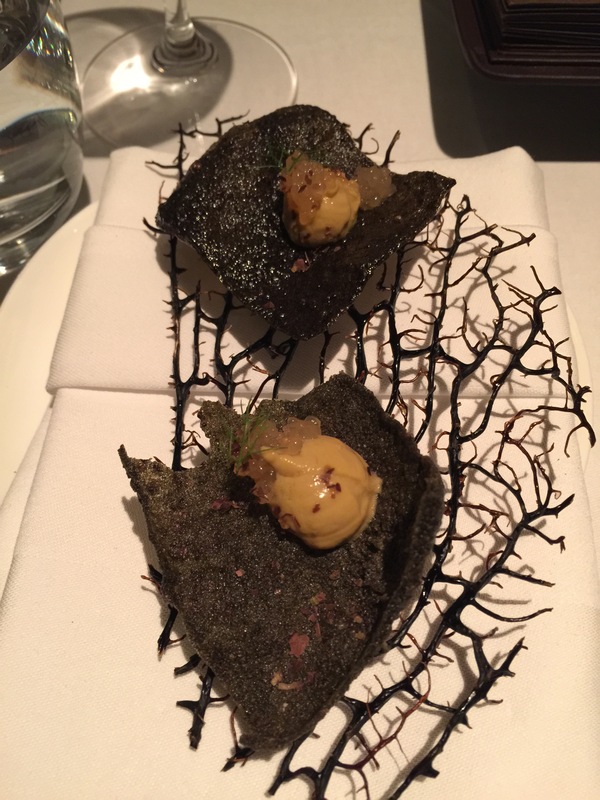 Served with a truffle toast that I would have been content to make a meal out of, it was a great course. 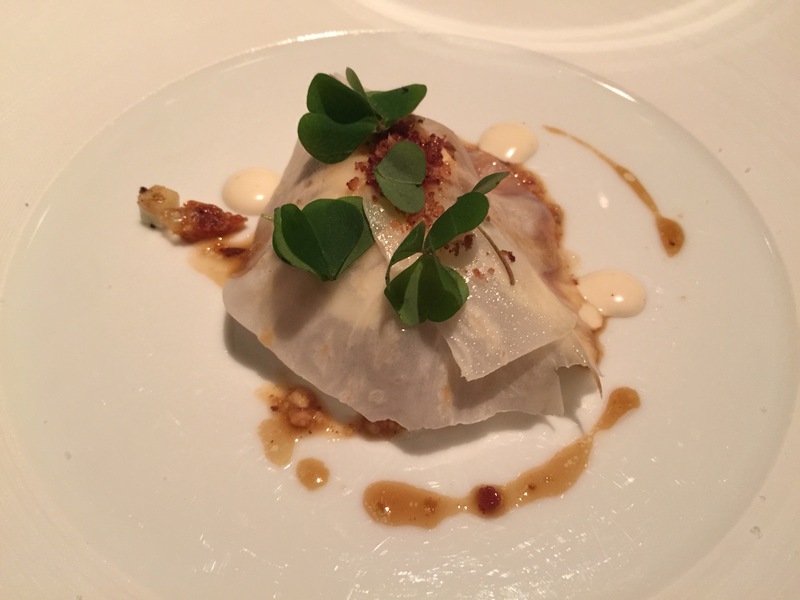 The pork jowl was a favorite of my husband’s with its crispy bacon skin. 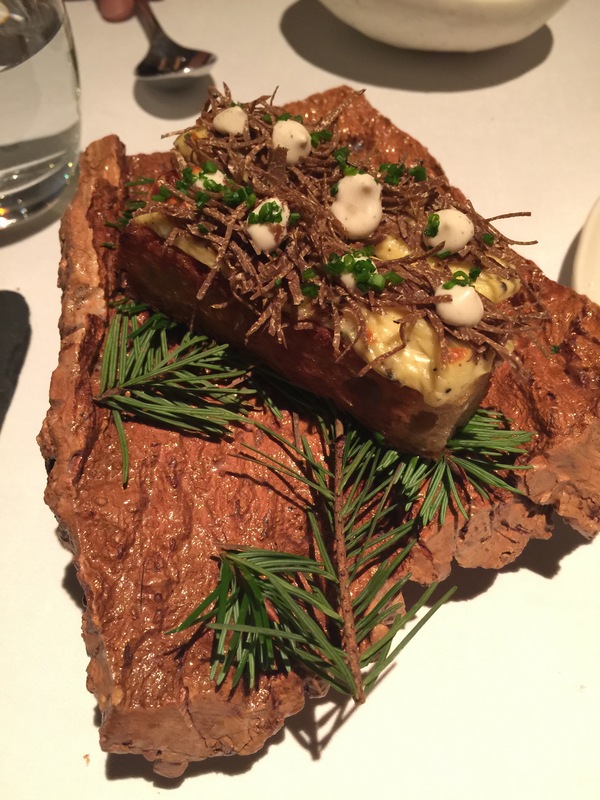 The beef included a little bone marrow for extra richness. 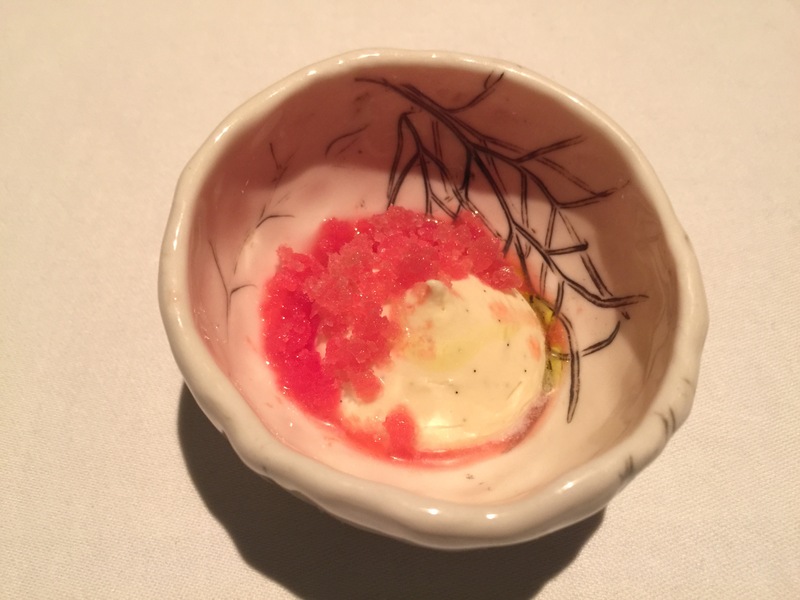 The pre-dessert sorbet was also a surprise standout and a perfect transition course. 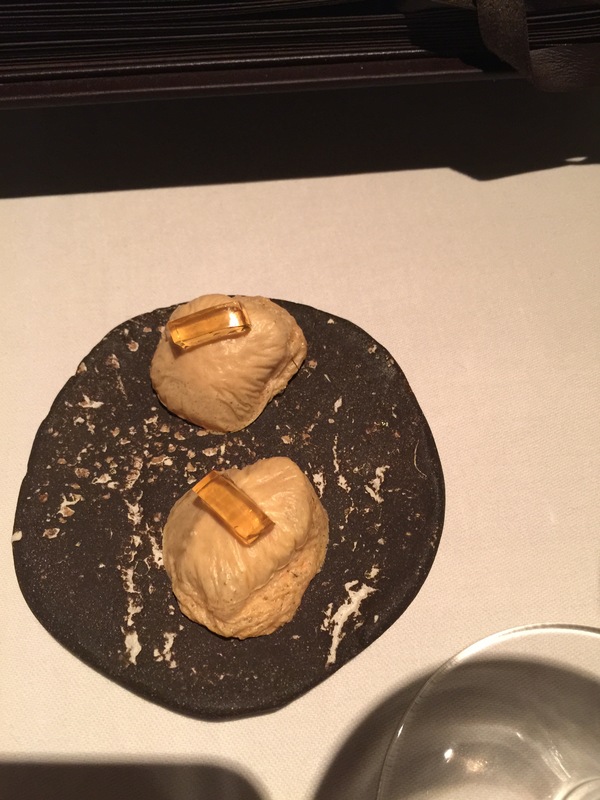 Then the salty and tart juniper sticks filled with caramel were a complete surprise and delicious. 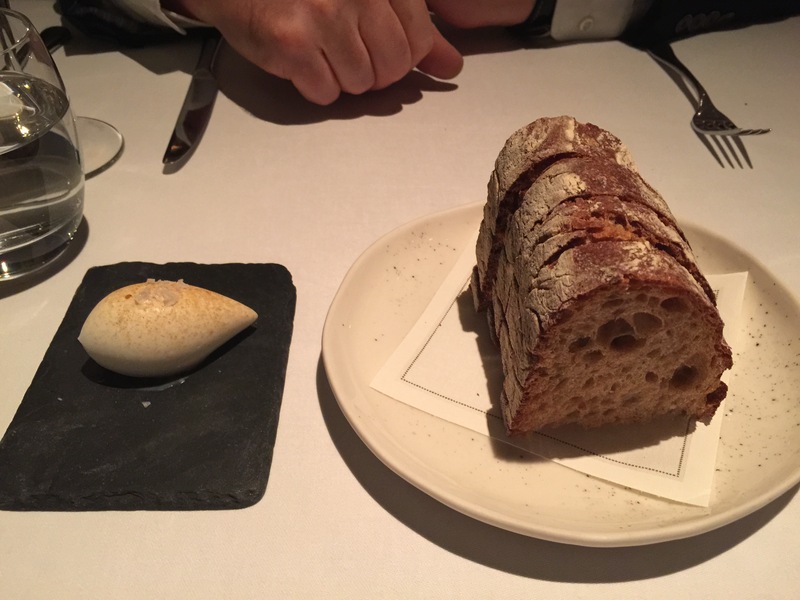 The friendly and helpful servers rounded this out to a very nice meal!